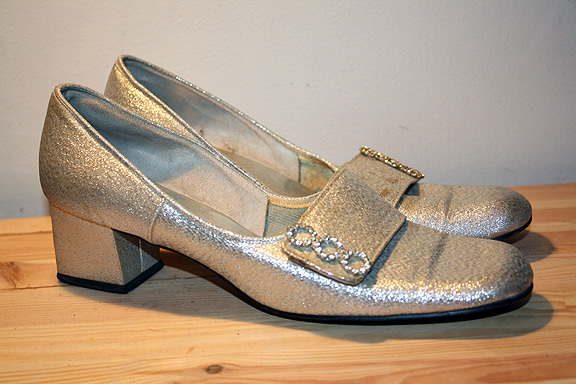 I came across these shoes way back in high school--they were amongst some of my first vintage items I ever bought. Found them on the mezzanine of my very favorite antique store back home in Evansville, IN. They're darling. From the silver lame fabric ("lame" as pronounced le-may. 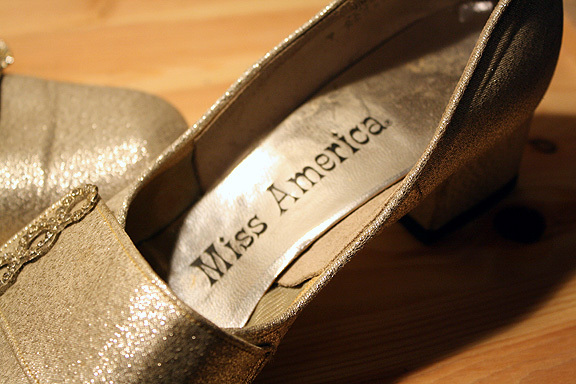 I just can't seem to figure out where the French accent mark is on my keyboard--it is not "lame" as in, "loserville"), to the rhinestone detail, to the fact that the brand is named, "Miss America"! 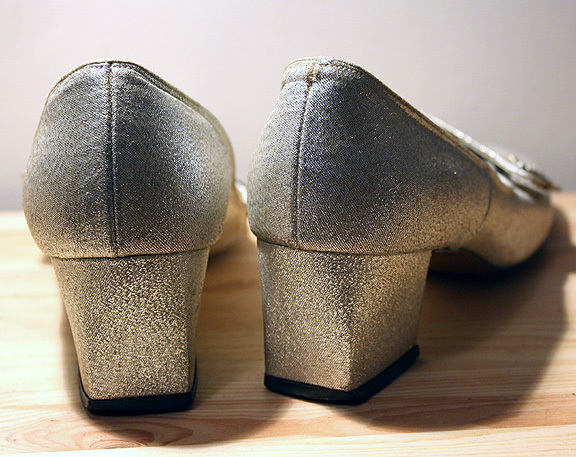 As mentioned, they're size 9. 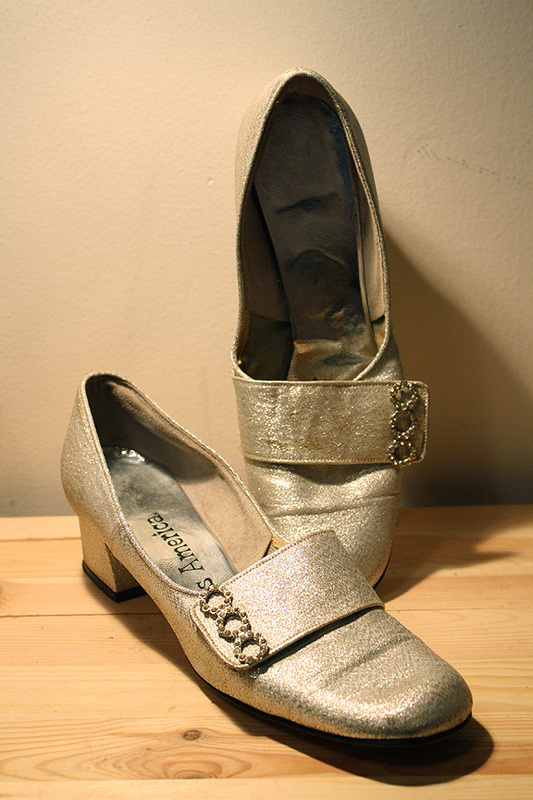 These shoes are at my guess 30-45+ years old. 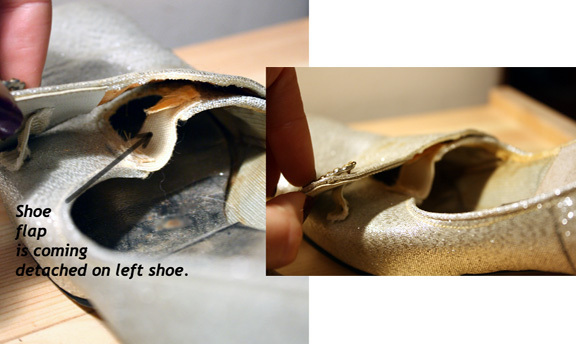 -Shoes, especially left, is minimally stretched out as if a wide foot once wore these. -And of course, anything from my Wishlist would work. No tradebacks allowed, ask questions if you have any concerns.